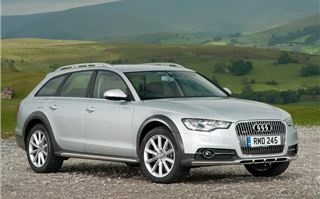 This is now the third generation of the A6 Allroad, Audi's 'all-terrain' version of the A6 Avant and an alternative to a full size 4x4. 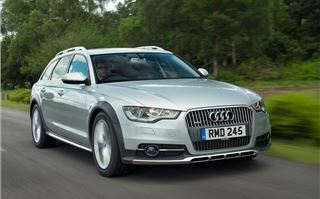 Aside from Volvo, Audi is the only premium brand that makes large off-road estate cars and this latest generation is claimed to be more refined and versatile than ever. It certainly looks the part. 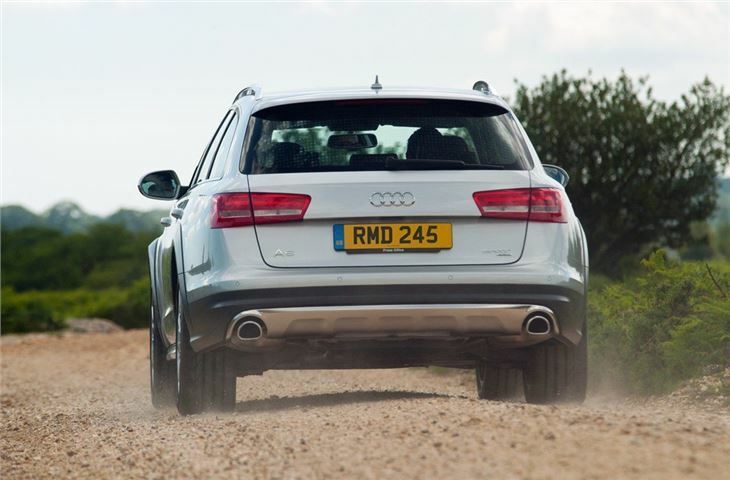 To make sure it has a suitably rugged look the A6 allroad has extended side sills, stainless steel underbody guards front and back while the wheel arches, bumpers and sills are painted in black. 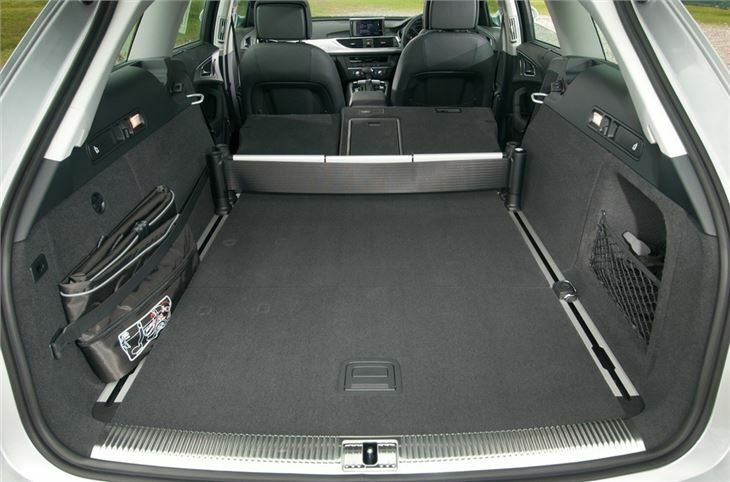 It's discreet but if it's still to much you can get the black trim body-coloured as an option. However, we think it looks good as it is. The A6 allroad is simply more than just a jacked up A6 Avant though. It comes with adaptive air suspension so you can actually adjust the ground clearance, lowering it by 15mm at high speeds or raising it by 35mm when needed. And at low speeds you can even raise it a further 10mm for anything trickier such as deeply rutted tracks. To reinforce the off-road element, there's a new hill descent assist function which holds the speed (between 6mph and 12mph) on steep slopes. Very useful in the snow. 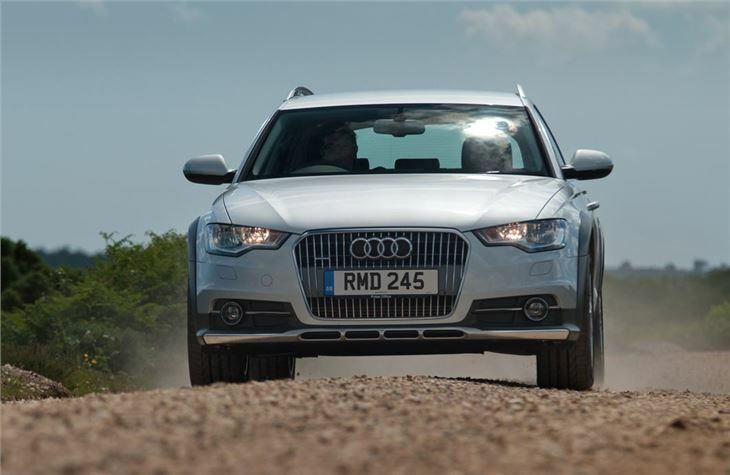 Of course it's a given that the A6 allroad comes with quattro four-wheel drive as standard but it also has torque vectoring, a system that's becoming more common on powerful cars. It's all complicated stuff but basically this slightly brakes an inside wheel as you go round a corner which means sharper handling and more agility through bends. It also means you don't need as much steering input. 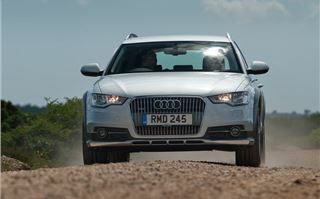 There are four different variants of the A6 allroad - one powered by a 3.0 TFSI petrol engine and the others all using the 3.0 TDI diesel engine but with varying power outputs. Unsurprisingly not many people choose the TFSI as it's thirsty compared to the TDI. On top of that the diesels are much better suited to a big estate like the A6 allroad when it comes to everyday performance. 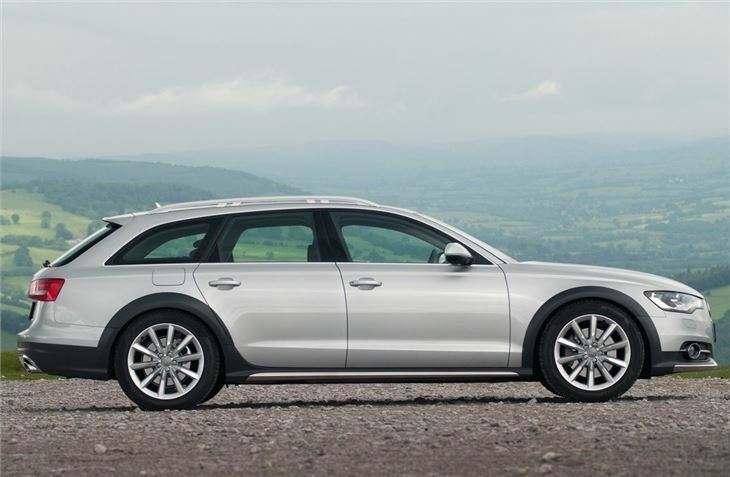 The entry level TDI is the 204PS version which in the standard A6 only comes as a front-wheel drive model with a multitronic CVT gearbox. It's very different with the S tronic gearbox fitted and feels more responsive, however the 245PS version is considerably quicker and with an extra 130Nm torque you can really tell the difference, especially when it comes to overtaking. This is the model that's expected to be the most popular and it's easy to see why. It's effortless quick, refined and makes a great motorway cruiser. It's pretty economical too with a claimed average of almost 45mpg. 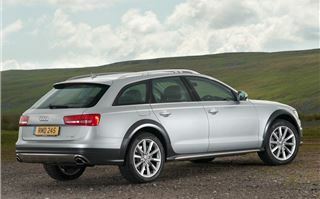 But the stand out model in the new A6 allroad range is the BiTDI. As the name suggests it's fitted with twin-turbochargers which boost the power of the V6 diesel to 313PS along with an immense 650Nm of torque. To put that into context an Audi R8 V10 has 540Nm. 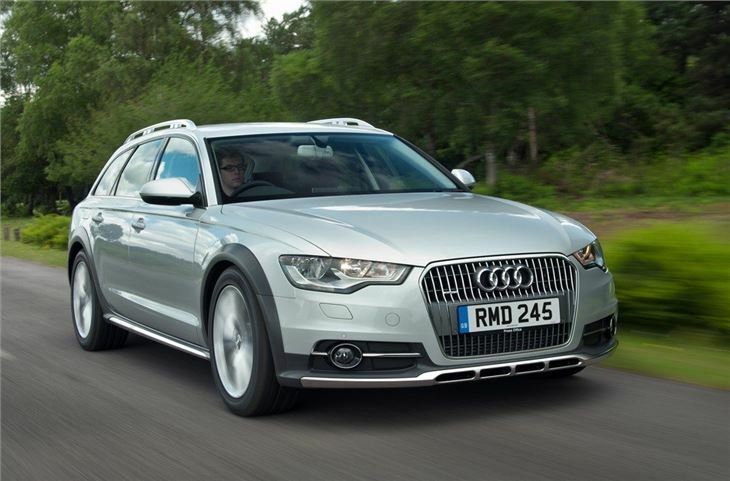 On paper it looks rapid - 0-62mph takes just 5.6 seconds - and remember this is still a big estate car. All that torque means the BiTDI can't be fitted with the S tronic gearbox so Audi has used the eight-speed Tiptronic from the Audi A8. In terms of performance the BiTDI stands head and shoulders above any other diesel in the Audi range with huge amounts of low down grunt and incredible response. There's no waiting around for a turbo to kick in - the power comes on song instantly and propels you along effortless as the scenery goes all blurry. It feels suitably sporty too and that's helped by an exhaust actuator. This is a speaker that makes the exhaust sound less like a diesel and more like a V8 petrol. It may seem like a gimmick but it works incredibly well and means the BiTDI has the sound - both inside the cabin and from the outside - to go with its performance. 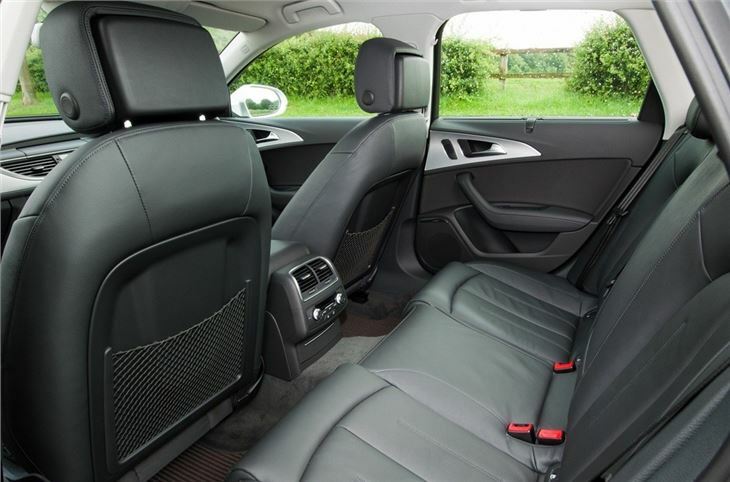 Inside the A6 allroad it's identical to the rest of the A6 range so you get a top quality cabin that's spacious, comfortable and has real attention to detail. 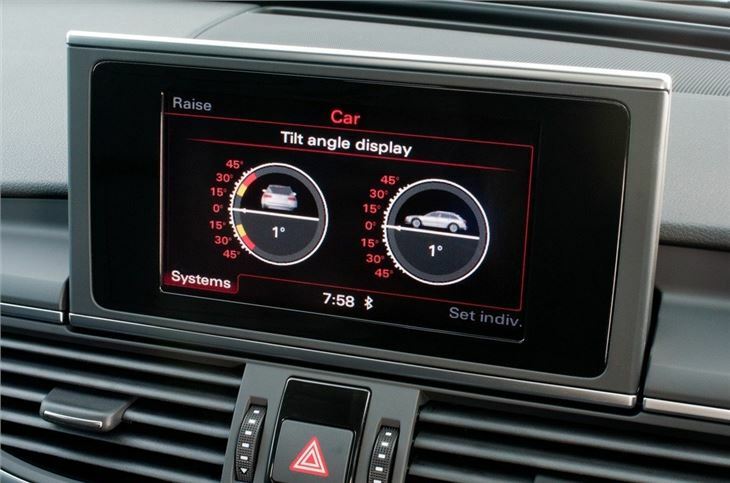 All models get a good level of standard kit too including a 6.5-inch colour screen than neatly slides out of the dash top. There's a huge amount of adjustment in the steering column and seats so it's easy to get the right driving position no matter what size or shape you are. 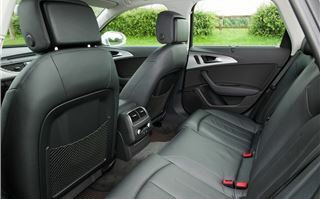 The seats are supportive too which you really notice on extended journeys - something the A6 allroad is perfect for. The boot is usefully large with 565 litres of load space and there's hardly any load lip so getting heavy things out is easy. Plus the squared off sides are useful if you're moving big and boxy items. 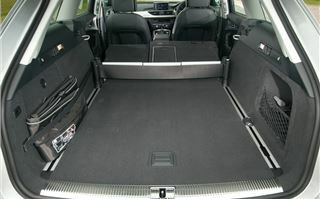 The rear seats don't fold down quite flat but there is a clever luggage fixing system available which includes a solid bar and an adjustable strap that can be moved along two rails in the boot floor. 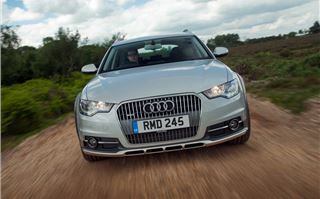 There's not much in the way of competition in the beefed up four-wheel drive premium estate market. The Volvo XC70 is the most obvious but that's starting to show it's age while neither BMW nor Mercedes-Benz offer four-wheel drive unless it's in an SUV. There are of course cheaper alternatives like the Volkswagen Passat Alltrack and Skoda Octavia Scout but these aren't in the same league as the A6 allroad. Audi describes the latest A6 allroad as the 'most versatile premium four-wheel drive estate car available today' and there's no doubt it ticks lots of boxes. 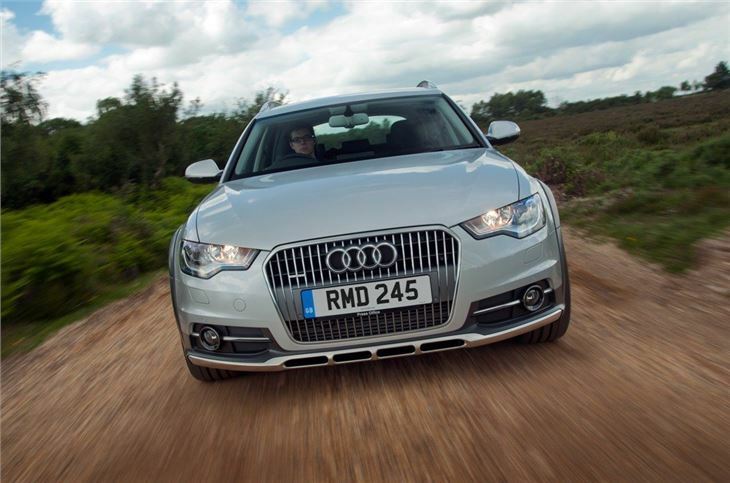 It's a versatile high quality car that offers great performance and can cope with tricky conditions. 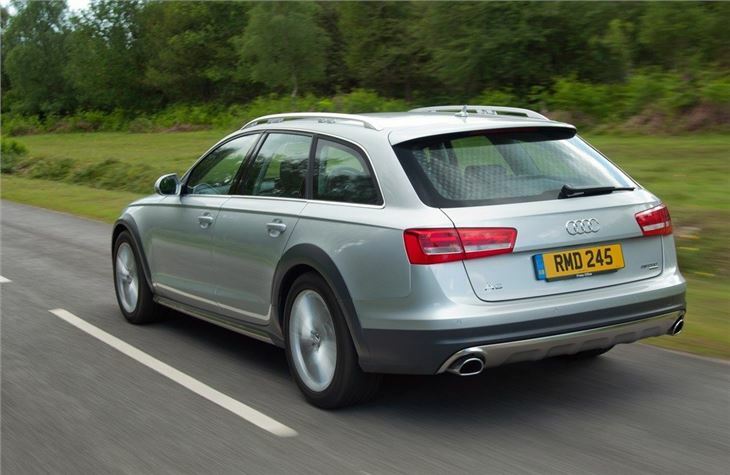 True you can go for an A6 Avant with quattro four-wheel drive but the allroad offers more. There's the image too. This is a car that's designed for outdoorsy people who drive to the Alps to go skiing when they aren't busy towing their horsebox to equestrian events (the allroad has a 2500kg braked towing weight by the way). It's all about a high-end 'lifestyle' and this is where the A6 allroad is unrivalled.